The Cyclades 43.3 has a popular three stateroom, three head layout with a large comfortable cockpit, dual helm, and sugar scoop stern. One of the aft heads has been converted to a laundry room with washer/dryer and generator. The design is credited to the naval architecture firm of Jeann Berret and Oliver Racoupeau. 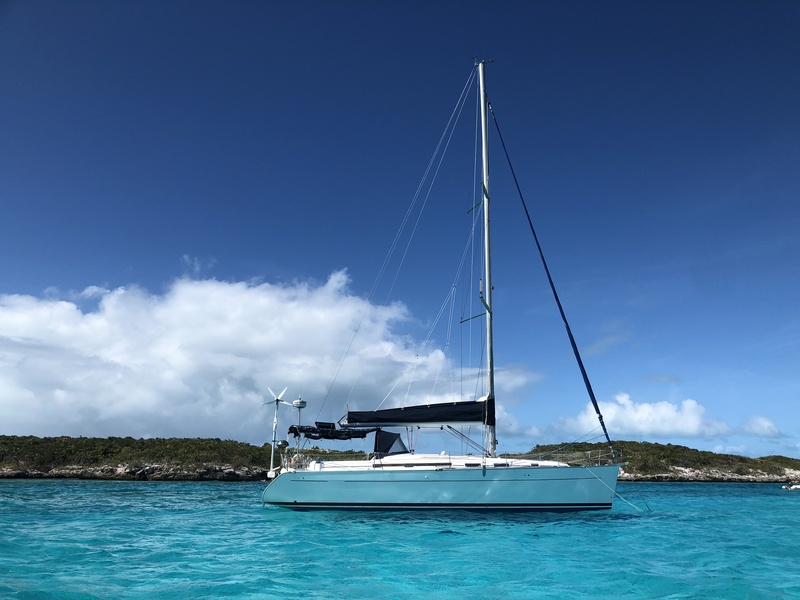 Her voluminous accommodations, racy rig, and shoal draft of 6’2″ make her an excellent Caribbean racer/cruiser for a family.